No.19 Music offer up the first new single from Kenny Glasgow since his departure from Art Department earlier this year, giving a sneak preview of what to expect from his forthcoming LP ‘Circus Tales’. Kenny has spent the last five years as one half of dance music duo Art Department, releasing records on arguably some of the biggest labels around and maintaining a tour schedule that possibly encompassed almost every key festival and club on the planet. Spring 2015 saw Glasgow and musical partner Jonny White go their separate ways with Kenny returning to his solo roots with a raft of new material inspired by his time on the road and forged in his new Toronto studio. 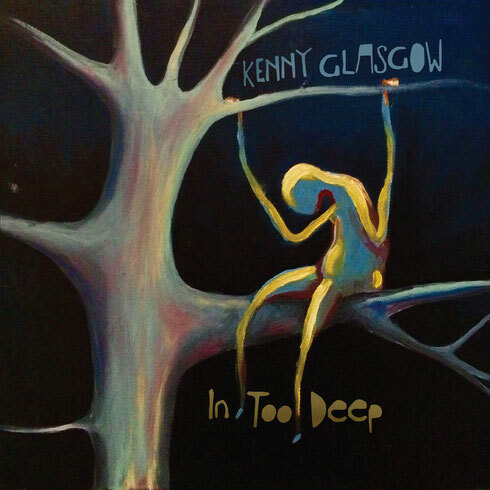 The new year will see Kenny come home to No.19 Music for his second solo album, the follow up to 2009’s ‘Taste of The Low Life’ and in anticipation of this the label now offer up the first single in the shape of ‘In Too Deep’. The release opens with ‘Sexxy’, a track that marries deep rolling rhythms with subtle melodies and some disembodied saxophone lines. This is a record that offers up a balance of musicality and dancefloor sensibilities and may be a hit in and out of the club. The flipside sees Glasgow lay down title track ‘In Too Deep’, a spacious and ethereal offering built around a soundscape of undulating bass, razor sharp percussion and understated layers of effects. Simple vocal incantations join the mix to bring a sense of human warmth.